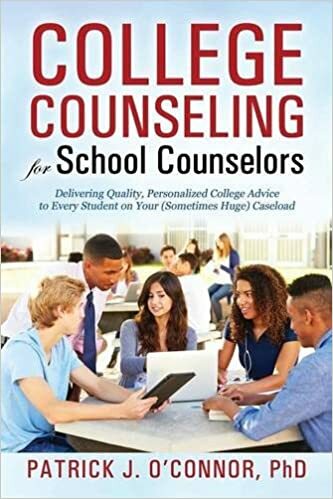 2013 was filled with consistent change, the kind of contradiction school counselors have to get used to in order to make long-term commitments to their schools and their profession. New data isn’t out yet, but counselors continue to report larger caseloads and more time on tasks unrelated to counseling. While policy makers are acknowledging something needs to change, the nuts and bolts of reform have yet to be worked out—and with Congress up for election next year, it’s unlikely any real change will occur in the few short months the House and Senate will be in session before their members hit the campaign trail. Counselors and Common Core Implementation of Common Core standards was ramped up in many states, leaving counselors in their usual ambivalent role of part cheerleader, part referee. The higher order thinking skills Common Core purports to measure are welcome news to counselors, since analysis, synthesis, and evaluation are key qualities to emotionally healthy students. At the same time, the assessment of Common Core outcomes may be even more odious and time-consuming than No Child Left Behind and Race to the Top, which could lead to more testing and fewer electives for a generation of smart phone users that could use a little imagination stretching. Counselors have generally responded to the possibilities Common Core offers; time will tell if these possibilities will be realized. Common Application High school counselors leveled uncommonly high criticism at a trusted counselor friend this fall, when the new version of Common Application debuted with significant flaws. The most popular college application in the country, Common App 4 made it difficult for counselors to download transcripts; told students they hadn’t paid for an application when they had, and sent more than a few submitted applications to college—with nothing on them. The fine tuning is complete, so school counselors have moved on to other heartbreaking issues—like NBC’s remake of The Sound of Music with Carrie Underwood. First Lady Leads Counselor Fanfare Counselor hopes for improved working conditions were nurtured by Michelle Obama’s publicly demonstrated interest in improving college access and readiness for low-income and first generation youth. Launched in November, the initiative seeks to raise public awareness of the importance of earning an education after high school, and has garnered the attention of policy makers who can improve the training and working conditions of all school counselors. Much good is expected of this effort in 2014. Middle- and high-school counselors will have to adjust to life without PLAN and EXPLORE, as ACT ends these successful tests and replaces them with the multi-grade ASPIRE exam. Implementation seems easy enough—the question really lies with how well the results will relate to college readiness and Common Core achievement. College access and readiness seem to be pulling counselors in different directions, as some reports indicate a four year college degree is losing its economic prestige, while other reports accuse school counselors of sending high-achieving, low-income students to colleges that don’t really challenge them. Overeducating and undermatching are two watchwords for 2014. Further change in K-16 education is expected as states begin to shift attitudes about undocumented students. Expect more colleges to offer in-state tuition to undocumented students who graduate from state high schools, and don’t be surprised if financial aid for these students becomes a bigger issue by year’s end. Cry for Help, or Pity Party?